Exterior timber can be a feature for your home. Some important maintenance issues. You must maintain before any signs of coating breakdown. 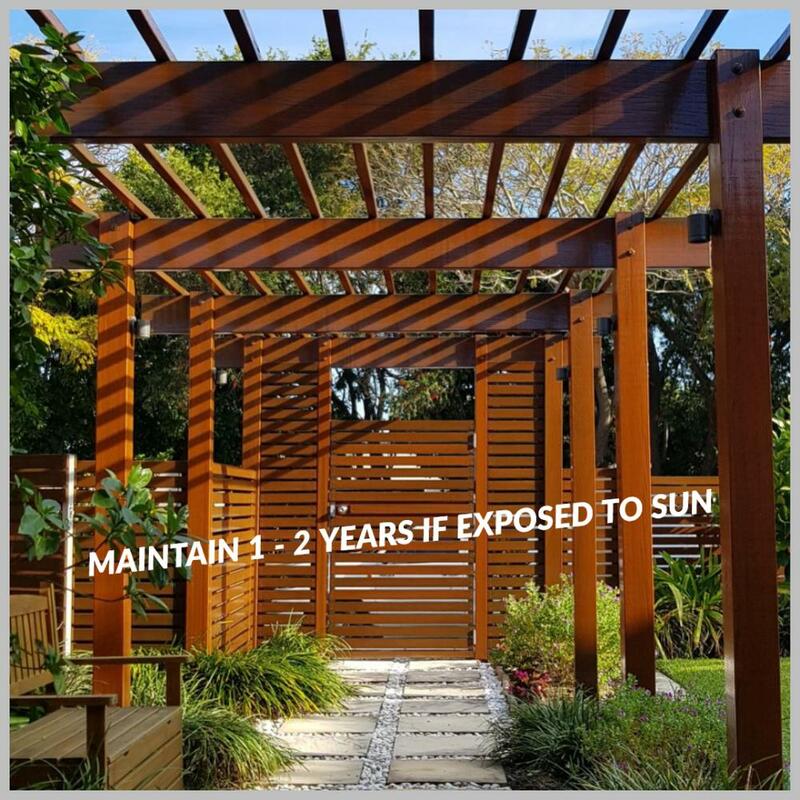 If the timber is exposed to constant sunlight it will require attention every 1- 2 years. The hardwood pergola (clear coated in Sikkens) is actually 10 years old. Creations In Colour coat it every 18 months. Once it does breakdown and allows water on into the timber those areas will stain and only complete expensive stripping or painting with a solid colour will be possible.